Designers and owners often must make decisions relative to cost. New systems are always preferred, but many times existing systems have to be expanded or improved due to cost considerations. 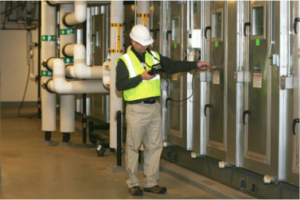 Currently, Thermal Balance has a network of design engineers that request pre-test surveys in order to establish baseline data that will be utilized for design or to reset areas affected by adjacent renovations. By having this data, unknown issues can be exposed and resolved prior to balancing. Increased performance and efficiency will be the end result.